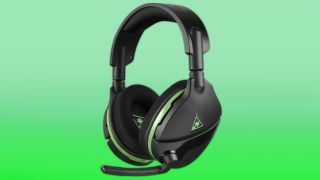 To cut down on the time between strapping on headphones and playing your favorite games, Turtle Beach is having a limited early launch of its Stealth 600 wireless headphones for Xbox One — the first of its kind that can connect as easily as a controller. The Stealth 600 uses Microsoft's Xbox Wireless tech, allowing the peripheral to sync up with an Xbox One, Xbox One S or even the upcoming Xbox One X without the need to install a special adapter or dongle in the back. Just turn it on and start playing. Connectivity aside, the Stealth 600 features 50mm over-the-ear speakers, a 15-hour rechargeable battery, a flip-up microphone that mutes when put away and a special 'ProSpecs' design for comfort even when wearing glasses. Since the Stealth 600 uses Xbox Wireless, the headphones are also compatible for PC players using the Xbox Wireless Adapter for Windows 10 devices. The Stealth 600 is available in limited quantities in the US via Turtle Beach's website for $99.95 (£89.99, about AU$125). The main launch for the Stealth 600 — along with a compatible model for PS4 players — is set for September 4.